The Halkidiki Tourism Organization (HTO) recently presented the potential of the northern Greece regional unit of Halkdiki as a hiking destination and the area’s network of trails currently under development, at TourNatur 2018. 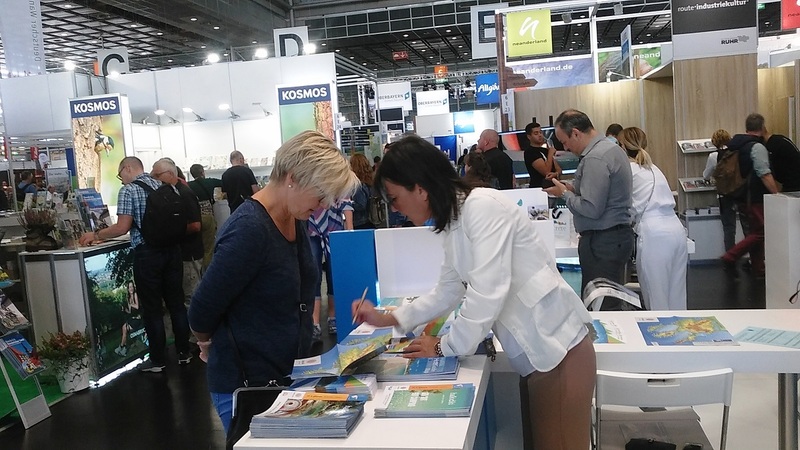 A renowned alternative tourism exhibition, TourNatur 2018 was held between August 31 and September 2 in Düsseldorf, Germany, hosting 5,000 destinations and over 265 exhibitors. HTO participated in the exhibition as co-organizer of the pavilion of the Greek National Tourism Organization (GNTO). Its executives presented Halkidiki’s first three trails, which are currently undergoing revamp works. 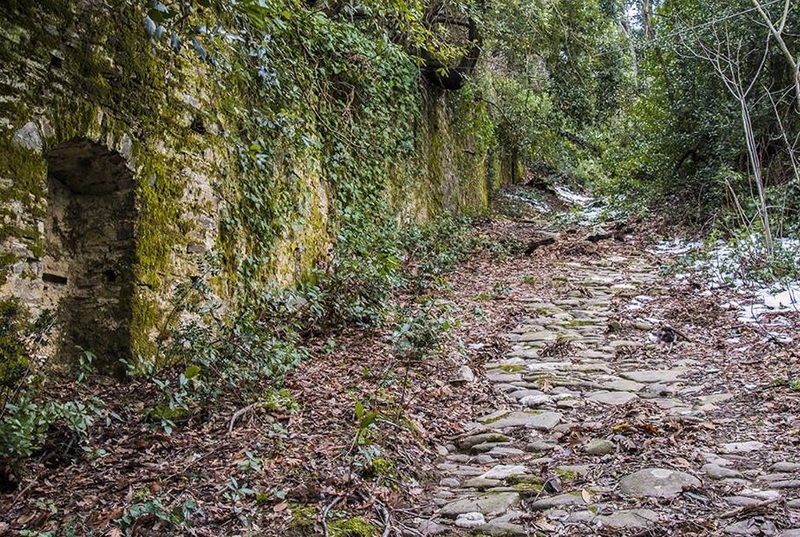 According to an announcement, during the next three years HTO aims to create a 50km trail network named Halkidiki Routes and receive the Leading Quality Trails – Best of Europe seal. Furthermore, the organization will create a network of shorter routes, which will comply with the standards of variety and safety set by the European Ramblers’ Association. “The new trail network aims to enrich and diversify the region’s tourism product with emphasis on alternative/thematic tourism,” HTO said. “We are optimistic as we expect visitors to increase, since the data of the German Hiking Organization show that Germans spend approximately 8 billion euros annually on alternative forms of tourism,” HTO added. 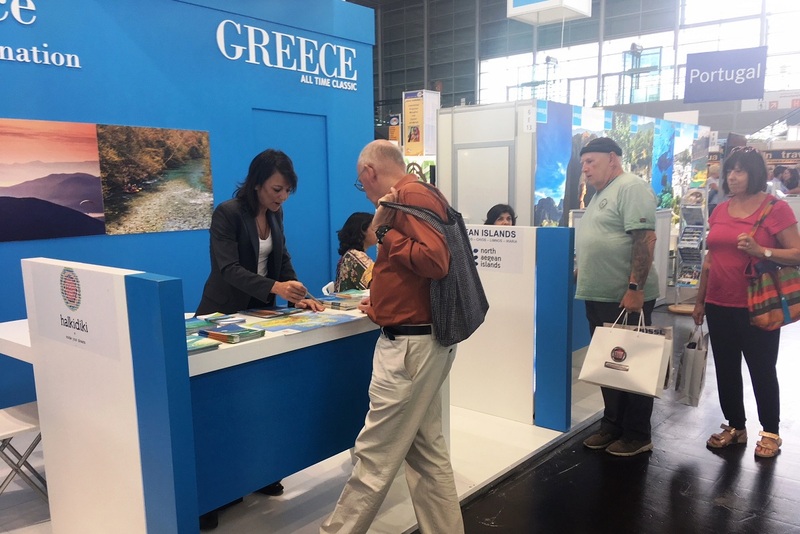 During TourNatur 2018, visitors had the opportunity to get more information on the new trails, which combine Halkidiki’s unique natural landscape with the historic and cultural heritage of the region. HTO also highlighted the competitive advantages of Halkidiki as a unique destination were travelers can enjoy a number of activities, from hiking in the lush forests to swimming in the crystal-clear waters of the award-winning beaches. Furthermore, the Consul General of Greece to Düsseldorf, Maria Papakonstantinou, visited the HTO pavillion and discussed on Halkidiki’s tourism development and promotion with Tania Akritidou, HTO marketing manager and Tasos Stamatis, representative of the Federation of Holiday Rooms and Apartments of Halkidiki.